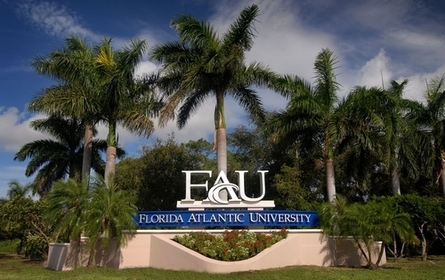 Florida Atlantic University, where bullies and incompetents mold tomorrow’s leaders! There are a wide variety of offenses that ought to lead to a college professor’s dismissal. Incompetence, for example. Our young minds should not be shaped by fools. A university should not tolerate discrimination and bias, either. Every occupant of a classroom should feel that he or she is equally welcome regardless of race, color, gender…well, you know the list. Abuse of power by a teacher shows a lack of trustworthiness; that kind of conduct, as well as its close relative, bullying, must be strictly forbidden on campus. Then there are an assortment of character traits and professional deficits that must lead to severance from a teaching position when they are in evidence, traits like laziness, ignorance, lack of respect for core American rights, and stupidity, which, neatly enough, brings us back to incompetence. Incompetence: Even for an instructor in such a mush-brained, politically-correct waste of tuition funds as his course on “intercultural communication,” inflicting this exercise on students shows affirmative idiocy. He is teaching intercultural communications by callously communicating to students that she has no respect for their cultures that he does not share. The student who balked at the exercise, devout Mormon Ryan Rotela, comes from a Christian culture in which stomping on Jesus Christ’s name is considered blasphemy. This is how he was raised; this is what his family and community believes, and this is a core aspect of his personal morality. The teacher’s command was an assault on his personal morality in a course and a university environment where he should feel safe from attack. It was a counter-productive exercise for the course, one which undermined the purpose of the course’s alleged goal, and for the teacher of such a course to think otherwise proves that she is unqualified for her post. Discrimination: The exercise purportedly served to demonstrate that people treat the symbols of revered people and things like the revered subjects themselves. By choosing only a revered figure that is important to Christians, however, Prof. Poole discriminated against the Christians in his class, and showed disrespect and lack of sensitivity to their faith and beliefs. For those who were not Christians, stomping on the name “Jesus” had as much meaning as stomping on the name “Cheetos.” He was, therefore, making an example of one faith, trying to show those students that their hesitance to stomp on a piece of paper was irrational. That is in-class discrimination and bias of a particularly ugly variety. Poole also showed himself to be a bigot, a hypocrite and a coward. He didn’t dare order a class to stomp on the name “Muhammad,” since she knows that those who worship him take this symbolism juuuust a little bit too far, and as a good Democrat Poole (who is, in fact, an officer in the local Democratic Party), knows only Christianity, and maybe the Jewish religion, are cool to disrespect. When I heard about the stunt, I assumed that the objective would be to point to the students who were not devout Christians and who happily stomped away, and remind them that by doing so they were forgetting about the impact their actions might have on fellow students who would regard such conduct as an attack on their religion and beliefs—that would at least make sense in the context of the class, though it would still be discriminatory. It is also noteworthy that apparently none of the Jesus-stompers stopped to consider the sensibilities of the Christians in their midst, which would be basic ethics—you know, the Golden Ru..Oh! That’s right! Neither Poole nor her compliant Jesus-stompers know about that, as they regard Christianity as just a convenient prop for cheap classroom ridicule. A fair and unbiased version of the still-stupid exercise would have been to ask students to write down the name of any deity or individual whose principles and life is important to them—Jesus, Muhammad, Yahweh, Martin Luther King, a dead parent, a sibling fallen in combat, President Obama, Justin Bieber—and stomp on it, and may I add, obviously. Abuse of Power: Classroom exercise or not, no teacher should presume to command any student to perform acts that symbolically reject or denigrate his or her religious faith, nationality, or family, no more than a teacher should order students to support her pet causes, service her sexually or paint her house. He’s there to teach, not dictate. Then Poole, when Rotela expressed legitimate outrage at her insult to him and his faith, reported his actions and words (“Don’t do that again!”, which he took as a threat rather than the excellent career advice it was) to the administration, which suspended the student. Excellent trap, Dr. Poole! Single out a student for abusive treatment on the basis of his faith as a teaching exercise—good ol’ academic freedom!—and then accuse him of a code violation when he objects in appropriately strenuous terms! This is a superb teaching exercise for your FAU course in “Persecution Methods of Authoritarian Regimes”—wait, what? Your course is “intercultural communication”? Never mind then—scratch that. You’re just a bully and an idiot. Laziness, ignorance of basic rights, stupidity: When this story first came to light (as yet another story only deemed newsworthy by the “conservative media”), the university defended Poole because the exercise was in a book, “Intercultural Communication: A Contextual Approach, 5th Edition.” Ah. As long as an abusive, insensitive, poorly designed exercise is in a book, the professor slavishly following it no longer is responsible for her atrocious teaching methods. And if the book had said, “Order your students to slit their wrists,” that would have been fine too. I don’t think you go far enough. The University should lose accreditation, at the very least. Demolition of buildings and sewing the ground with salt, while it has a certain appeal, is probably a little extreme. But only a little. Perhaps I should mention – I”m an atheist, and to me, this would have no more significance than writing the word “Santa Claus” on a piece of toilet paper, and then using it for its usual purpose. However, there’s a matter of common human decency involved. Such an action as happened in this class would hurt others for no good reason. If one conducted the exercise, then halted it before any actual disrespect happened, that might be dangerous, but justifiable. I don’t think it would be though. If it was conducted as a gendankenexperiment, “how would you feel if….” then unobjectionable, even if the class actually wrote the word. As long as those pieces of paper, those symbols, were treated not with the disrespect I feel they deserve, but the respect other, reasonable people feel they deserve. Because it’s people who are important, not marks on paper. To actually punish a student… and seek to justify it… à la lanterne!!. If asked to do this deed, I’d refuse, on principle. My atheism is irrelevant. Poole must go! Now you can see where affirmative action gets us! This guy isn’t qualified to clean the s&%t off my shoes, let alone be a professor! What a joke! I bet that his IQ is less than my pet hamster! I actually took a post-grad course from your hamster, and he wasn’t bad at all. The manual that accompanies the textbook evidently says something to the effect of “after you instruct the students to step on the paper there will be some silence and some will be reluctant to do so, at which point you should lead a discussion, etc.” She didn’t even read or follow the manual provided. She’s just a dope. Meanwhile, “Diversity Training” and “Anti-Bullying” classes are both probably Mandatory for all Students and Faculty at Florida Atlantic University, just as they are here at mine. Ah, the Hypocrisy of Academia! The lesson itself, apart from the exercise, is stupid. Names aren’t even symbols; they are direct references to a person. Stomping on a person’s name is no less disrespectful than spitting in their face; only less messy. The exercise has nothing whatsoever to do with “the importance of symbols in culture”, and Jesus’ name isn’t a symbol. And even if it was, any student with a brain would understand that stomping on a person’s name isn’t any kind of brave rejection of meaningless symbols in favor of substance. It’s just a simple-minded show of disrespect towards the person himself. I’d bet dollars to donuts that whoever wrote that idiotic exercise into the text just wanted an excuse to get a classroom full of young people to stomp on the name of Jesus. They’d be happier in Stalin’s Russia. This seems like a simple, clear case of Golden Rule illiteracy, plus a dash of anti-Christian eduprop. I wonder how Poole would have responded if power positions, and the giving and taking of offense, had been reversed. For example, how would Poole have responded to being told to stomp on a copy of what he considers (or better yet, what his peers consider) his singularly most substantial and influential of his published scholarly works? But then, I guess one risk of failure to detect any Golden Rule adherence would be that Poole is such a narcissist, he is self-immunized from ever being offended. Sorry, I referred to Poole as he, when it appears Poole is a she. No, you were right, he’s a he, based on photos. I initially wrote the whole post with “she”—I’m amazed if one didn’t sneak by me. I saw his picture, Jack. AND I read his resume. I’m still uncertain as to whether FAU is a private or public college. If the former, the people paying the tuitions are getting ripped off badly. If the latter, the entire state of Florida is. If the colleges were really serious about academic standards AND bringing down tuition costs, they’d eliminate these worthless, easy credit electives and the often near-lunatic jerks who teach them. I hope that young Mr. Rotela himself has learned a lesson in being more descriminating in his choice of classes and universities. THIS is what’s become of the concept of a liberal arts college being a center for the “free exchange of ideas?” Do only moronic instructors and administrators have this right? Why did Ryan Rotela get punished for his own free expression of his own ideas? I think he should get the ACLU involved in this. Make it a really big deal. It’s not Jesus, per se, it’s the increasing totalitarianism of liberal bias and ignorance by the “leadership” in our schools, colleges, and the media. I think Mike Huckabee had a great suggestion: Ryan should have written Poole’s name on a piece of paper, and then stomped on it. That gives a stupid exercise too much legitimacy, in my view. I see nothing wrong with this exercise. Writing the name of a fake prophet on a piece of paper and stepping on it is not the same as stepping on said fake prophet. A doesn’t equal B. That is the whole point of the exercise, to get across the importance that we as a American society put idols and objects. If they had asked the students to rip up a picture of their mother/father, would there be the same objections? It is a piece of paper, not the actual object that it represents. And to anyone that says “Why didn’t they write Muhammad on the paper?!?!?!? !” It wouldn’t have the same effect in America. This is a predominantly Christian country, so a Christian idol was needed to get the point across. Ridiculous and biased argument. It is not the professor’s job, nor may he, mock individual student’s religions. Symbolism is valid, and holy names and objects have sincere and genuine validity to those who believe in them. And what does that exercise have to do with diversity, exactly? The exercise was inherently prejudicial and unfair, since the devout Christians would consider it being required to commit blasphemy, and those where were not, wouldn’t care. The ethics exercise would have been to see which students who were not Christians would object to the exercise as unfair, an abuse of power, wrong and a Golden Rule violation. And you would have flunked. Miserably. Talk about incompetent profs. George Gollin made 1,280 posts on a website operated by a notorious gay boy pornographer. George Gollin admitted his dissertation was written for him by 15 pals and was not his independent work. George Gollin has been sued multiple times in federal court for extortion, stalking, defamation, computer hacking and civil rights violations. George Gollin’s domestic partner, Mel, was cited by the FDA for selling mutant lab pigs to the public for food. As more details and information come out, a very, very different picture of the incident is emerging. For instance: http://www.examiner.com/article/stomping-on-jesus-and-academic-freedom .